Good Monday morning everyone and time to start fresh with a new thread and a new storm. I can't remember the last time I started two new threads within two weeks. That must mean the weather is active...which it is. Although I'm not posting anything graphically about it... the little "interlude" system for the middle of the weak looks like a nuisance event...but it still may have somewhat of an impact...especially north of I-70 in the form of some light freezing rain or sleet. It is a quick moving system...but the fact that it may produce any form of ice makes it a potential concern...so I will dig into that a little more later today or tomorrow. Obviously, the weather world is buzzing about the Friday through Sunday time frame...and what may or may not occur. 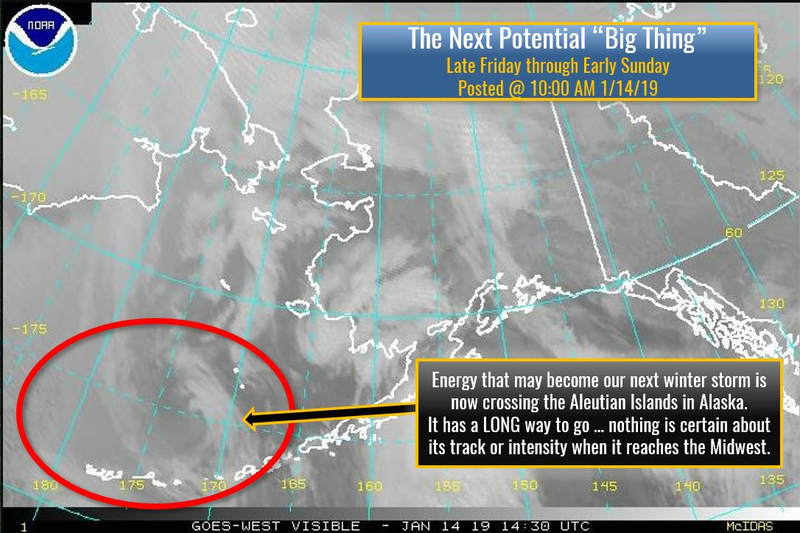 It is WAY too early to get detailed about any of this as the energy is still up in Alaska...and has to take a rather convoluted track to get here. Every twist in that track may impact what happens here. OF course...the question remains how strong the cold air intrusion will be and how fast. Does it suppress the storm track? Is it too slow and system ejects out ahead of it to the northeast? There is a lot up in the air right now...which leads to the problem of messaging. It would be VERY VERY easy to jump on this next system early and fire-up the public about "another blockbuster storm"...but I think we need to proceed with some caution here and not let the hype train get too far ahead of the science. I think we need to focus on two things... the UNCERTAINTY of the event... but also be honest about some of the potential impacts...which are more far reaching than the big storm of this past weekend. I also think we have to focus on the idea that no matter what and how much falls this weekend... it is going to be followed up by some of the coldest air we have seen in a while. In fact, dangerous cold seems to be the only certain thing about the upcoming event. Watching closely! Thank you Chris! Sounds good Chris...looking forward to tracking another. 12z ICON doesn't wrap it up, but still swings some decent snow through the area. Everyone must be worn out...or the bar has been raised too high haha. 12z GFS doesn't wrap it up either, but still a nice areawide snowfall with bitter cold to follow. More of a rain changing to snow situation. The flow/artic push may just end up being too strong for it to dig and intensify. NO ICE!!! NO ICE!!! NO ICE!!! My mantra for the week. It's going to be tough to get a real wrapped up storm as long as the trof remains positively tilted and increasingly sheared. 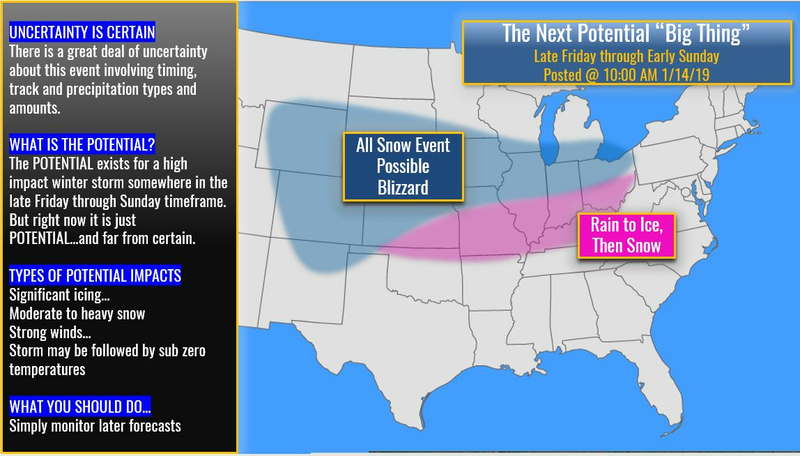 But the seasonal trend argues for a stronger storm...so we'll see. Storms have definitely had no problems spinning this year and this storm has a ton of deep moisture(more gulf moisture this time) and strong baroclinity to work with so it could go boom if everything comes together right. Yea I agree. As is, we would be looking at a 3-5" type system with some brutally cold winds behind it. The back edge would have some pretty high LSR's. The big cold is looking quite likely starting this weekend. I hope we can get some snow on the ground to have around if it's gonna be that cold. My measly inch I have left will be all but gone tomorrow. Snow storm I thought the same thing, with density f the snow clouds borderline temps and a low sun angle there will still be a lot of snow around by Friday. I’m talking the metro are wher we received 8-14” not down south. Snow storm I thought the same thing, with density of the snow clouds borderline temps and a low sun angle there will still be a lot of snow around by Friday. I’m talking the metro are where we received 8-14” not down south. The airport reported 11.4" of snow and ended with a depth of 8" for the last storm. I was just checking that too. It's snow depth product did surprisingly well with the last storm. The airport had 30% less depth than what they measured using their 6-hourly method. The NAM and GFS said that was going to be the case with this one. I have no idea how well they do with the post storm melt out though. We'll see. GFS only initialized this morning with 3-4" of snow depth across the area which it quickly obliterates by this afternoon. I know for a fact I have 8" of dense snow pack out there right now. That's crazy the weekend storm is sitting over the Bering Sea. I'm currently sitting under it duck hunting on St. Paul Island. It's been brutal. Peak was yesterday afternoon right after the center of circulation moved through. Had gusts over 60. Finally looks like it's going to be calmer today. Fv3 GFS is a perfect track. I wouldn’t look at precip placement. What’s the 12z UKMET showing? Is the super gfs out yet? I would have figured all the ducks in their right minds would be a lot further south right now! Super GfS cuts it a lot more as well. “There is no reason to get all wrapped around the axle 5 days out...” is the best phrase I’ve heard in awhile. That is really crazy to think about. 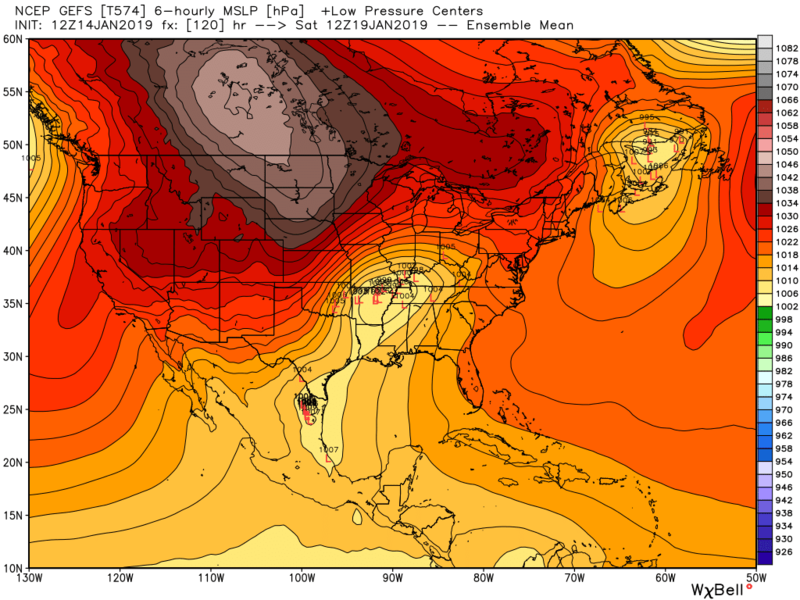 That is very good consistentcy for 5 days out The EPS seems similar. The GEFS has a good amount of qpf as well. Where are you guys seeing the updated super gfs? 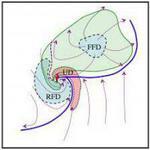 I can’t find a updated 12z run anywhere? 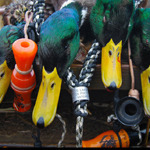 Bucket list hunt. Post pics.